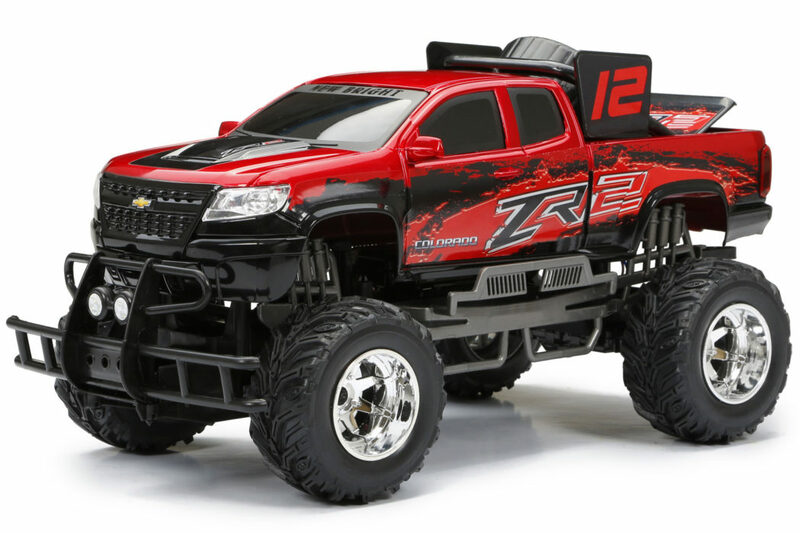 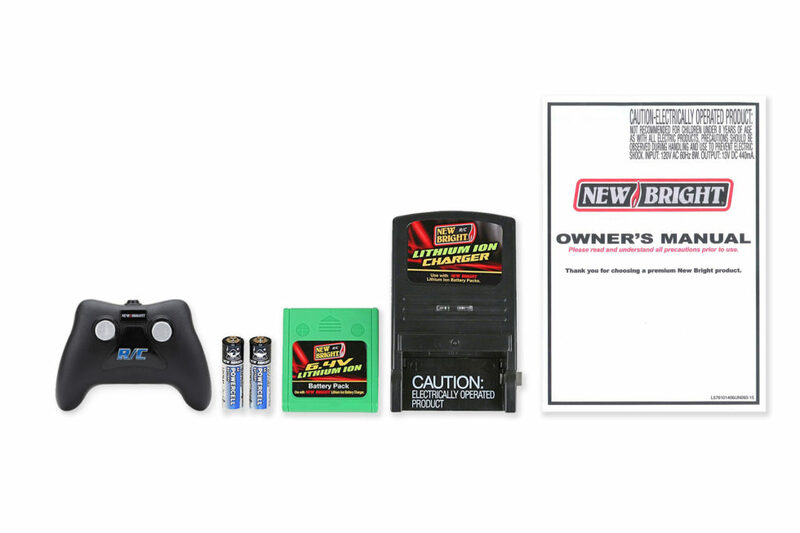 R/C Truck - CHEVROLET® COLORADO™ | New Bright Industrial Co. 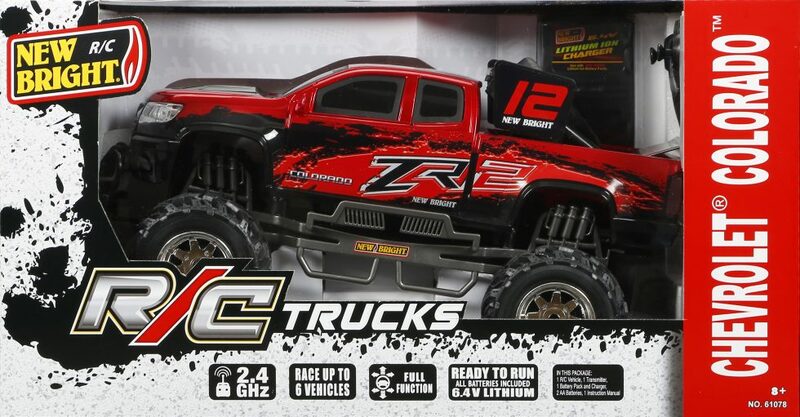 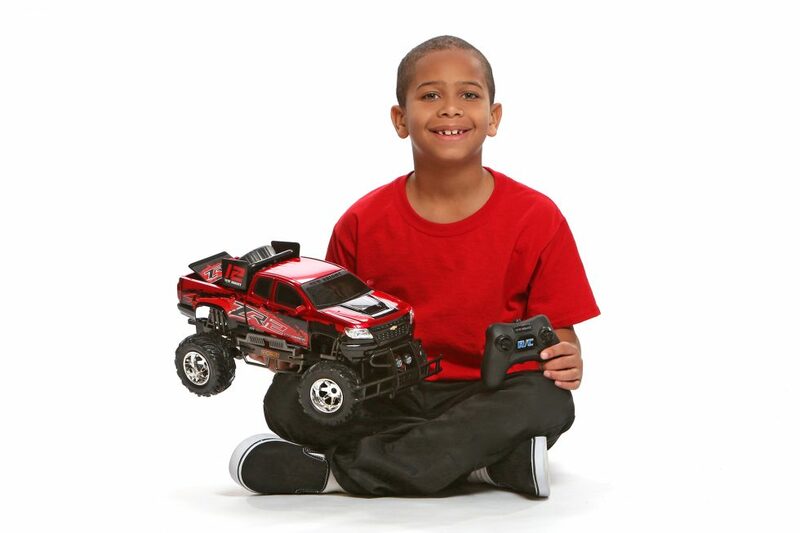 These trucks are armed with big wheels, spring suspension, full function R/C capabilities and 2.4GHz Technology. 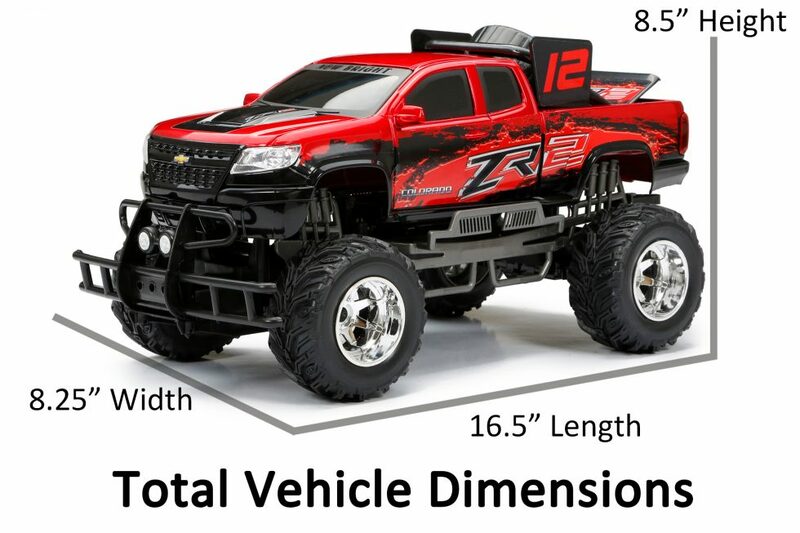 Features include: extended range, auto pairing, a powerful 6.4v Lithium-Ion battery and wheel alignment to keep you on the road!